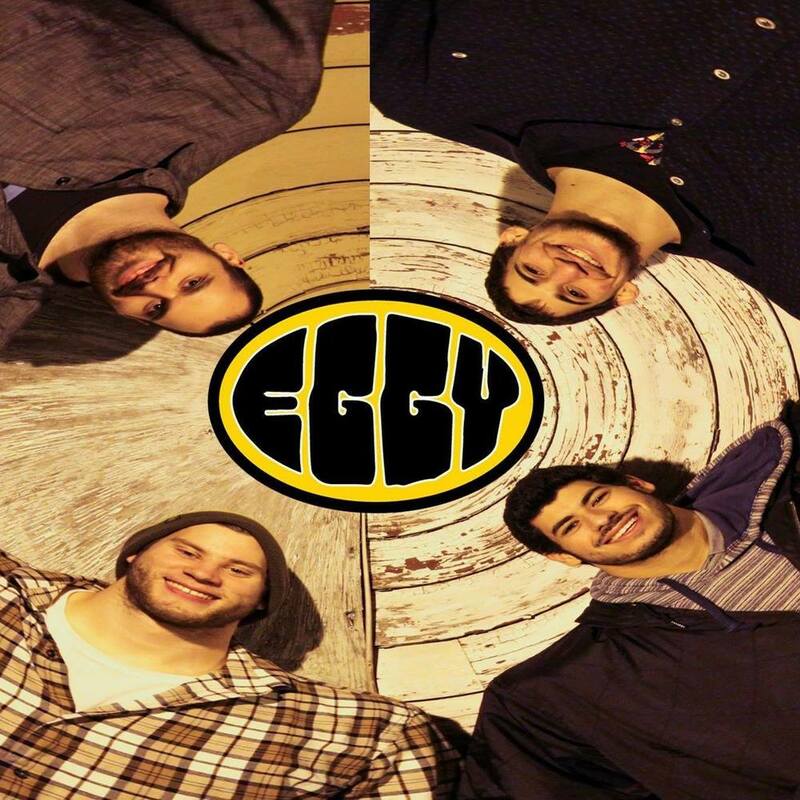 DOWN AT HOME, FUNKY CRUNCHADELIC, EGGY IS THE GROUP THAT BRINGS BALANCE TO YOUR MUSICAL BREAKFAST. BASED IN NEW HAVEN, CONNECTICUT, THE QUARTET HAS BEEN DELIVERING THRILLING LIVE SHOWS THROUGHOUT THE NORTHEAST. MICHAEL GOODMAN (BASS/VOCALS), JAKE BROWNSTEIN (GUITAR/VOCALS), DANI BATTAT (KEYS/VOCALS) AND CHRIS KELLY (DRUMS) WORK AROUND THE CLOCK, SHARPENING THEIR CRAFT. THE RESULT, AN ORIGINAL AND ORGANIC MUSICAL BLEND INSPIRED BY THEIR MUSICAL HEROES OF THE PAST AND PRESENT. EGGY PRESENTS A TIMELESS VISION OF SONGWRITING BOTH LYRICALLY AND IN COMPOSITION, CREATING WORKS WORTHY OF LASTING A LIFETIME. THEIR MUSICAL DEPTH IS BEST EXPERIENCED IN A LIVE SETTING, WHERE ECLECTIC IMPROVISATIONS CREATE PERFORMANCES THAT TAKE ON A LIFE OF THEIR OWN. THE BAND IS EXCITED ABOUT THEIR MUSICAL FUTURE AND LOOK FORWARD TO BRINGING THEIR SOUND TO AUDIENCES EVERYWHERE.